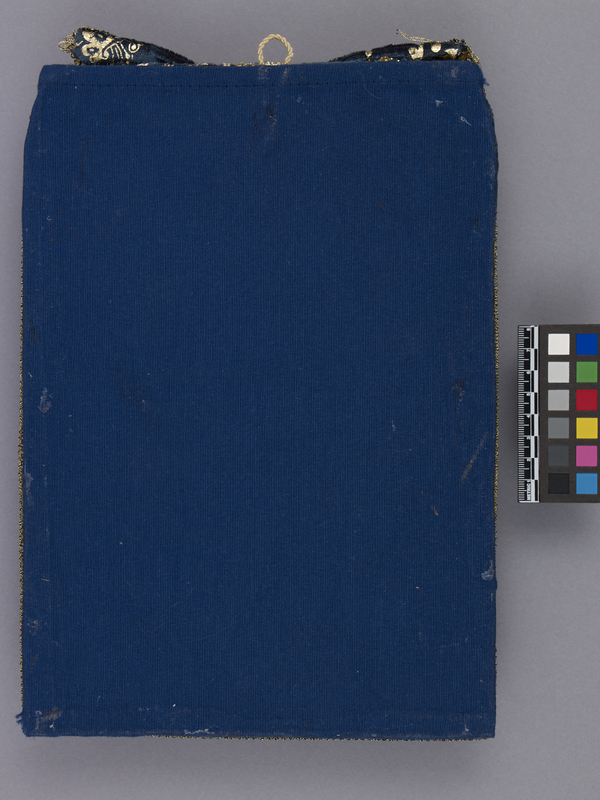 Item number 2956/187 from the MOA: University of British Columbia. Registro with an image of Christ above an altar table, with two candles and book, surrounded by white, blue and orange plastic flowers. 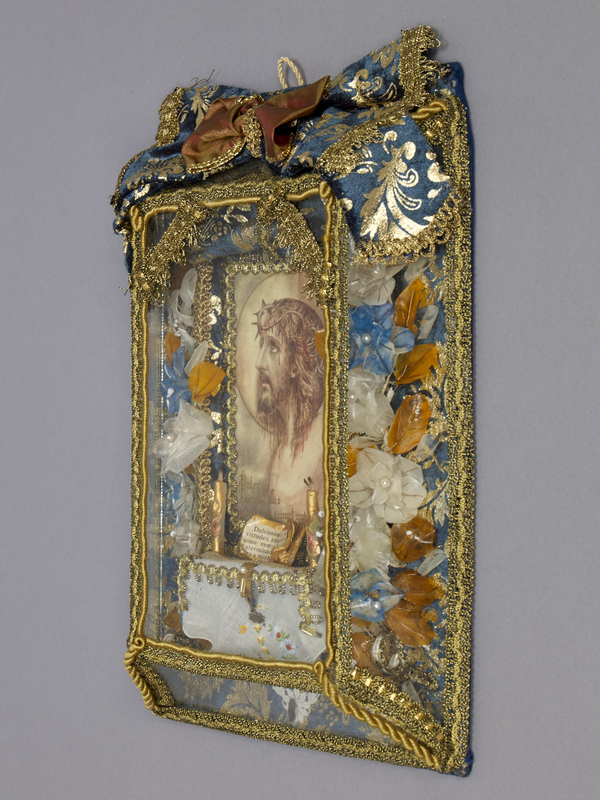 Ornate frame with metallic fabric decoration along edge. Small bow along with blue and gold decorated fabric on top. 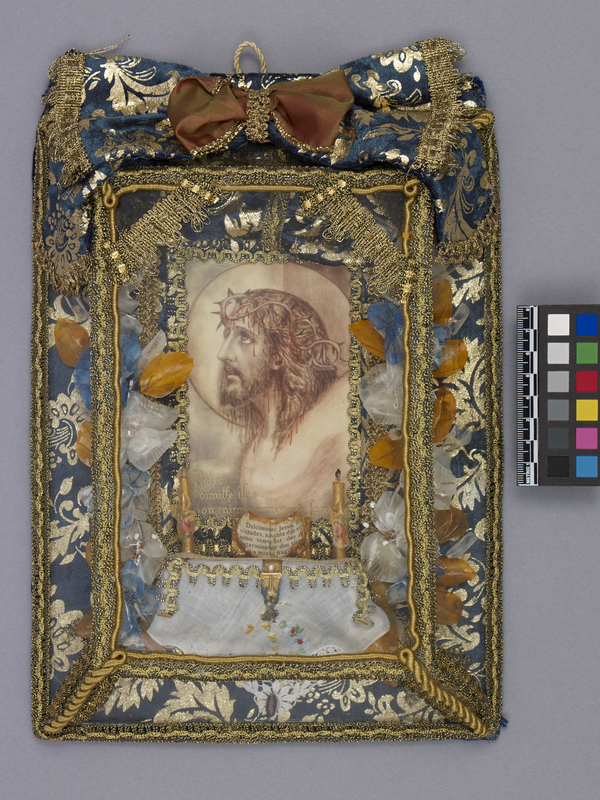 Glass over front; blue fabric covers back.